Let’s be honest: Finding, evaluating, and selecting a product to sell online is extremely difficult. The pros make it look easy, but if you’ve been dreaming of starting an online business but don’t know what to sell online, you’ll know first hand how hard that process really is. When I got started in ecommerce several years ago, I spent close to four months looking at thousands of products on Alibaba, eBay, and Amazon trying to select just one. I had no idea what I was doing or how to evaluate the products I was looking at. In the years since I’ve gained an incredible amount of knowledge on choosing products to sell online and evaluating them, starting with one of my first and most notable posts on the A Better Lemonade Stand blog, Reverse Engineering The Perfect Ecommerce Product. Since that post though, I have further reverse engineered the process of finding and selecting great products to sell online. Almost every day, while working as a Shopify Growth Team Strategist, I had the opportunity to share bits and pieces of that information when people would email me asking about my thoughts on their product idea. But I knew eventually, I would have to consolidate all that information and distill it into a guide in order to help as many people as possible. Shopify asked me to write the book. Not just any book: The unequivocal, most detailed, resource-packed, no fluff or filler, definitive guide to choosing a product to sell online. My eyes lit up. It was my chance and my time to take years of knowledge and experience and create something truly remarkable that can help tens of thousands of people fulfill their dreams of finally starting their online business. 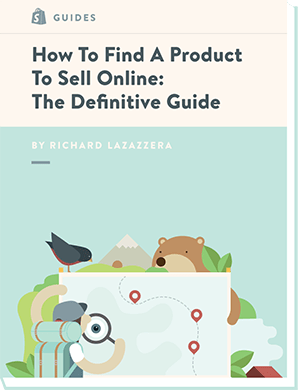 Today, I am really proud to announce the launch of my first book, How to Find a Product to Sell Online: The Definitive Guide. I dedicate this book to anyone that is still searching for their path of passion. I was lucky enough to find my passion for ecommerce in a coffee shop on a cold December night several years ago during an impromptu conversation with an old friend. I guess that shows that inspiration and your path in life can appear anywhere. Always be receptive and always be searching. I just finished the first couple chapters and I’m really impressed. Lots of actionable resources and tools, can’t wait to finish the book! Congratulations on being published! Your book sounds as though it’d be super helpful for those wanting to find a product to sell online. Well done to you! Congrats on getting a book published! I’m not sure if I would feel like I had enough knowledge to write an entire book. Great job! It took longer than expected and 5 years of saved up knowledge. I just downloaded your book to read later. I did attempt to sell products at one point. I learned one thing–I am not a sales person! Just takes a bit of patience and practice! My sister went to art school and works in mutual funds. I keep telling her that she should start her own Etsy shop and sell some art work so her degree isn’t going to waste. Even just as a side hobby. It’s always nice to have an extra stream on income, especially if you can get it from doing someone you love and building your own brand/business. WOW! Congrats on getting a book published. I just downloaded and plan on reading. Well done. This is a great book. Ecommerce is just about the hardest thing to master, in my opinion. Congratulations – this is an awesome work. I downloaded your book because I’m sure that there are so many things to learn and I’d like to impart some of it at work. There are still businesses that have not seen how eCommerce is the next big thing. A colleague of mine and I have been working on getting our company to invest in eCommerce – to help get our product out to the international market, to create that much needed buzz, to help our sellers, and a lot more. Awesome. Appreciate you stopping by Russ! I need to check this out! It looks wonderful. Congrats to you I’ve always wanted to write a book but I just haven’t been able to. I will be checking it out! This book is definitely worth sharing! So many great tips – thanks for all your hard work! Congrats – that is a huge achievement! Sounds like a great book! Sounds like a great book. A lot of great tips! This is great for anyone looking to sell online. I’ve sold a few things online before. What a great book! I did eBay for 10 years. Took a 7 year break and lately I have been itching to get back to online sales. Now that I have a website (a few) and some outlets I would love to get back to it. Amazon FBA has a great program and I know quite a few people doing well there. I also have an Etsy shop that I plan to get going on. I never really thought about finding an item to sell. I know there are people on Amazon and eBay who do have their own products. I wish you much success with your book. great book idea. I sold on eBay for many years and now I have a thriving shop on etsy. I make my own products so I never had a problem figuring out what to sell. 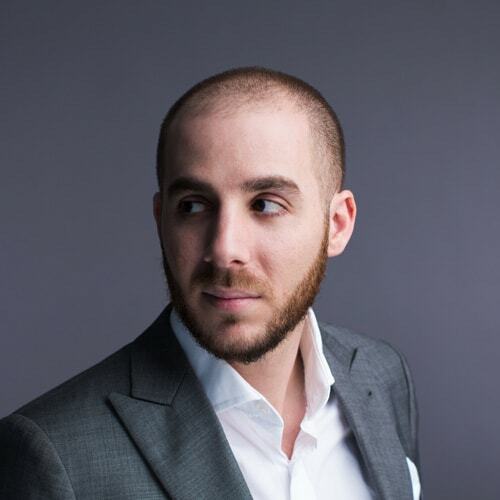 There are a lot of people out there that have a product already and naturally take the step into ecommerce, than there are the people that want to get into ecommerce but have no idea where to begin. This book is geared towards the latter. This looks like an amazing book for an entrepreneur or anyone that wants to make money online! Fantastic! It’s definitely not a get rich quick but it can help a lot of people add an additional income stream and have some fun along the way. Congrats on your book. It would definitely help people on their online needs and it’s great that you get to share your knowledge through this books. I’m really like shop online I’m very careful to chose company what I’ll buy for. But this time you made my knowledge to sell online prove and increase thanks for guide. Congratulations on the book! I think it’s awesome that they asked, and even more awesome that you agreed and took the plunge. Thanks! Definitely a great opportunity and glad to finally get it out. Wow congratulations on your first book. It looks like it has a lot of great information. This is awesome indeed. I am going to have to get your book. I have been thinking of selling jewerly on line and this is going to be my new beginning. Thanks for sharing. Interesting. I might consider dabling in selling products online. I kinda do that already with Origami Owl just because I love the jewelry, but I’d love to see what this is all about. This is a great post!I love all of the tips you gave us, they are very helpful for beginners. I have never really done it before but if I plan to, your guide is going to be my go to! Glad you enjoyed it. Thanks for reading Michelle! I know so many people who would benefit from reading this. So much great information! Awesome. Please share it with them! It is definitely true that impromptu conversations can lead to the best opportunities, like you have seen with this book. I make sure to try and talk about my blog as much as possible as well, hoping it can lead somewhere. It definitely did for you! You can’t predict opportunity. You can only keep you eyes open for it. I thought about doing this years ago, but decided against it for the very reasons you mention here. It is so overwhelming and “risky.” Your book sounds like the perfect tool for someone wanting to pursue this type of business. Good luck with it! It doesn’t have to be at all! 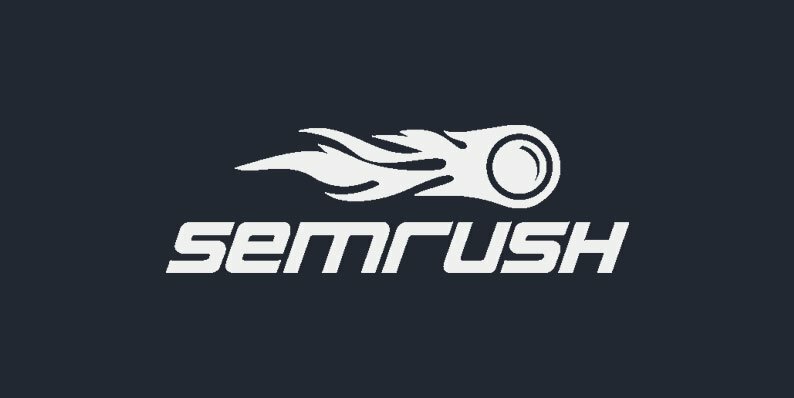 I built and launched a business for $24 in 24 hour that made $347 the first day. Wow, I will have to read this. I’ve been wanting to sell some stuff for a while! Thanks for the great post! Congratulations to this new book of yours. I think it’s worth reading. I used to be a technical support of an ecommerce software and I know how online shopping works. I like to have my own online shop someday but I don’t know what products to sell yet. I guess it;s time to read your thoughts on this. Awesome book! I would love to check this out. I’m sure it’ll teach me loads. Thank you for sharing what looks to be a great resource! Love the success you’ve had with ecommerce – it’s inspiring and motivating! Love the cover – such a great design! And awesome content! Thanks, we had a great designer on board for all the image content! What a great book! I love all the tips in it. Looks very helpful and encouraging. Wow, this is 1) an incredible guide (peeking through sections of it, I love your example screenshots and referencing hyperlinks) and 2) obviously a dedicated investment and effort – much congratulations on launching it, and I look forward to reading/referencing it! Wow! Congratulations on your first book! Such a great subject that many will find useful! Sounds like an awesome book and it has so many great tips as well. This might be very much helpful for entrepreneurs and people who wants to earn money online. Thanks for sharing. This looks like great information for anyone that wants to sell online. I’m sure it’s a hard decision to find the right product to sell and make a profit. I do not sell online but I am going to forward your link to my friend that is looking for all the information contained in your book. Thanks for sharing your expertise with us. The chapter headings look really interesting. What an amazing accomplishment! I need to download this and see if it will help me out. this is very interesting.. I think I’d be liking this book. have to see more of it. Awesome thank you for sharing and much success to you!!!! Lots of valuable tips here. I’m currently on Chapter 3 and I’m soaking up everything like a sponge to apply for my own blog. I actually refreshed my browser a couple of times before reading cause I was going to buy the book — I was looking for a “buy” button. But I’m surprised it’s is all free! Shopify should pay you for this though. That’s awesome. I really appreciate you sharing my guide! How do you download the guide? is there a hard copy available? or can you only view via the website. would love to be able to physically read and highlight ! thanks. A PDF version is currently in the works. Check back in a few weeks. Your description sounds very good! I’ve never heard about this book, now I know that I have to read it! I just finished reading the first 3 chapters… it’s a good read. I’ll definitely continue this. Anyone who’s thinking of entering e-commerce will find this helpful. You raised some pretty good points. E-commerce is an exciting platform.. it’s surging as fast as it can. I think articles like this will undoubtedly boost it more. How can I obtain a PDF version of this book ? Sure would love to see that .pdf version you mention 🙂 Reading on the computer can get so tiring. I would like to use my e-reader. Coming soon? Thank you for very usefull post. How would you recommend to sell franchise for media platform solution online? Would be gratefull for any suggestions. I love this book. When will the print version come out ? Thanks, it’s a fantastic read and I’ll be sharing it with my readers as well. I still assert the owner having a passion or deep seated hands on experience is pretty important. The numbers can tell a story about market demand and opportunities. However, it’s the hand on experience and passion which can help craft killer product descriptions, helpful content pieces for shoppers, etc. Too many shops go by the numbers alone, and create a ‘me too’ type of eCommerce shop. Speaking of Shopify, I was reading on their blog earlier about the company who created a keychain product based on Sriracha sauce. In a case like this I doubt there were hard numbers supporting a keychain for hot sauce, but the market was large enough, and the passion existed. Please have a look at http://www.crazzybazaar.com it is having great potential to sale products online is this a good website to be opt for selling product after selection. Hey there, great post. Guess what? I also have a blog – crazy, I know. Anyway, check out this post on coming up with product ideas to sell online. nice book. we can learn how to sell online. Check out this cool app to help you get started dropshipping. Thanks for this, just discovered this blog.